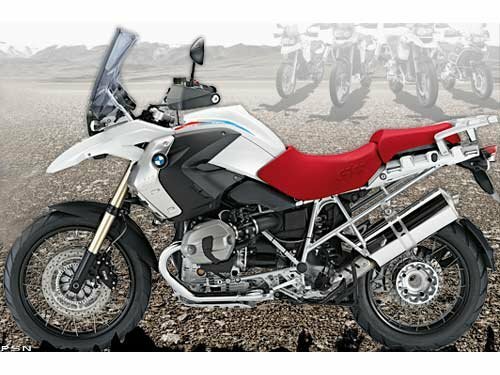 As we are getting the invited builders sorted out the subject of the giveaway bike for this year has come up..What do we do? Harley,Triumph,Indian....Chopper ,bobber,stocker,30's 40's 50's 60,70's,80's....FXR? Barn find or ground up build? 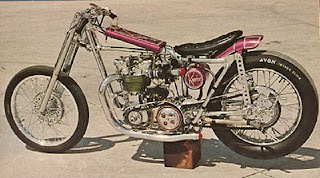 Then there's paint options,Front ends,Seats,Bars,Pipes,Sissybars,Wheels......Please help us. Comment here or email us directly. Your Opinion Counts!! Time for a Flattie I'd say. Chopped or Bobbed. Anything but stock. The rest we leave in your capable hands. We know you'll do it justice. 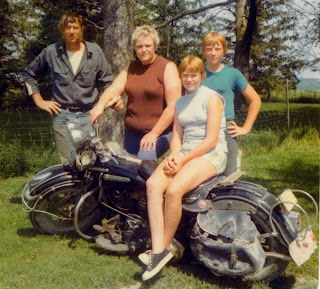 harley chopper for sure. engine, can be your choice. 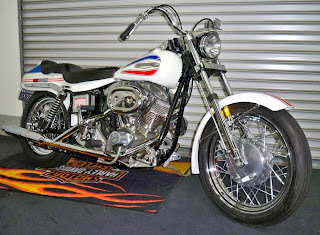 How about this, the raffle winner gets to pick one of the builder invite bikes as the prize? Agree w/ first 2 comments. 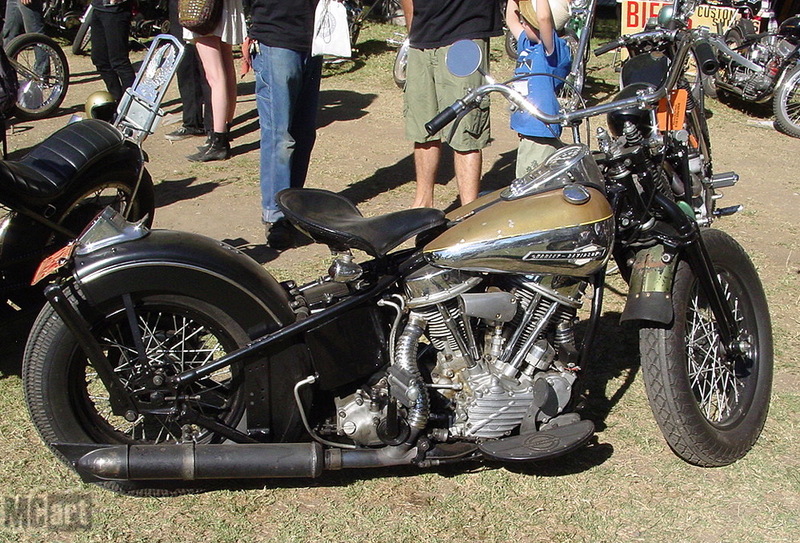 You've done pan, knuckle, shovel...so it does seem only fitting to do a flathead. 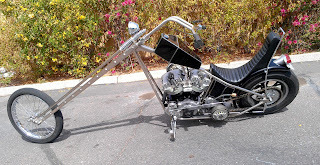 "Sin" has a cool idea though; winner picks builder invite bike of choice...maybe as the 2nd bike that you give away? Not sure how that would work, but a cool idea nonetheless. I say do a street tracker of some sort. 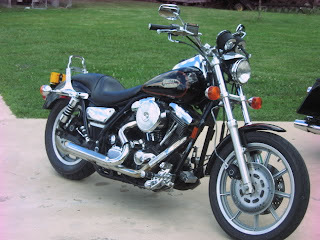 I know there are a few of cool sportster trackers around and they always stand out from the crowd in a good way. 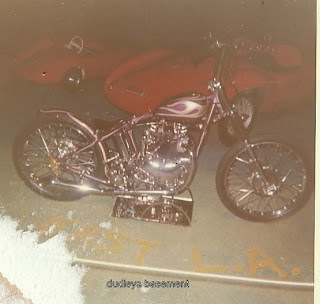 You could do an old iron head or even an evo, set up with a mono shock or rigid tail, upright riding position and crazy paint with some number plate panels with the #5 on it. 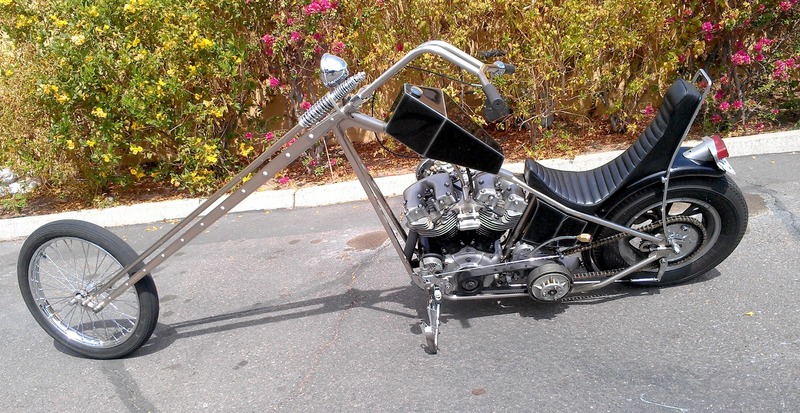 High pegs and pipes for mountain riding and make it light enough to rip up the city streets. Those are my two cents. Flathead racer for sure...with the number 5 number plate and sticking with the color from a 1950's. Can't wait to be back out there! I'd have figured something British might get a look in, T150/160 donk maybe, you guys think up the rest . . . as most guys above, a fathead has to be a logical progression too. Honda CB750 chop!!!! Denver style, all raked out and chromed forever!! Do it!!!! 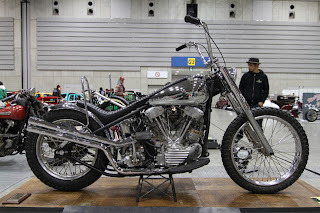 You've done a Panhead, a Knuckle, and two Shovels. 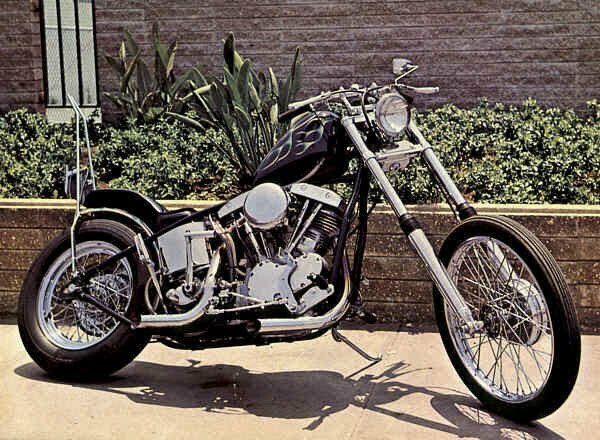 It would make sense to do a Flathead AND an Ironhead Sportster for this year, just to follow some sort of rational pattern. 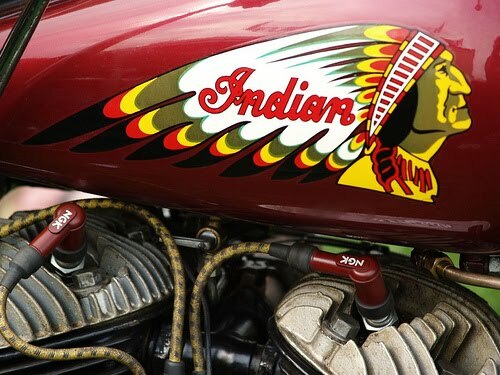 An Indian, a Triumph, or anything else could wait for next year, and I don't think anyone would be disappointed. 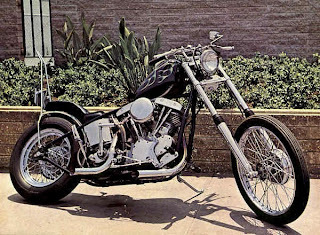 For inspiration, I suggest looking to Rene Astengo's Ironhead Sporty. 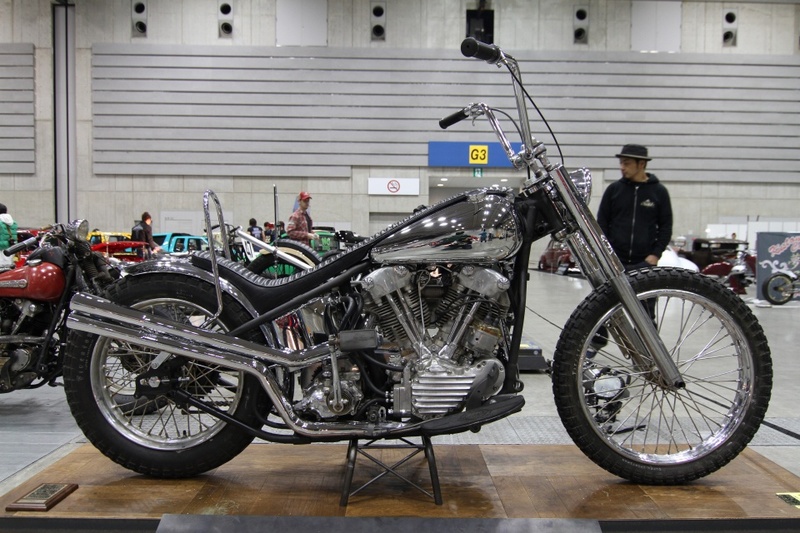 He kept it clean and simple, but it's one of the most beautiful bikes I have ever seen! 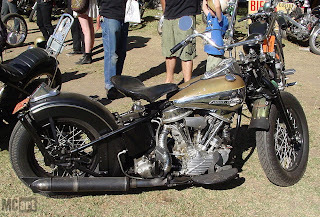 For the Flathead, I'd like to see Born Free put up an Army WLA built the way they would have been for the military (canvas windshield apron, leather saddlebags, oil bath air cleander, etc.). I'm sure whatever you do will be will be great though, and I look forward to the reveal.